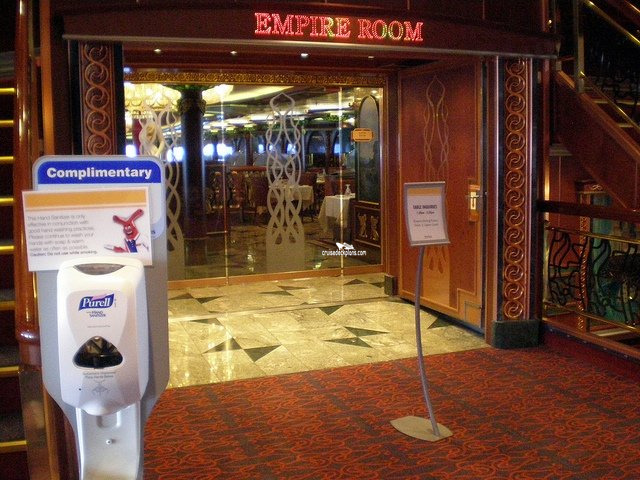 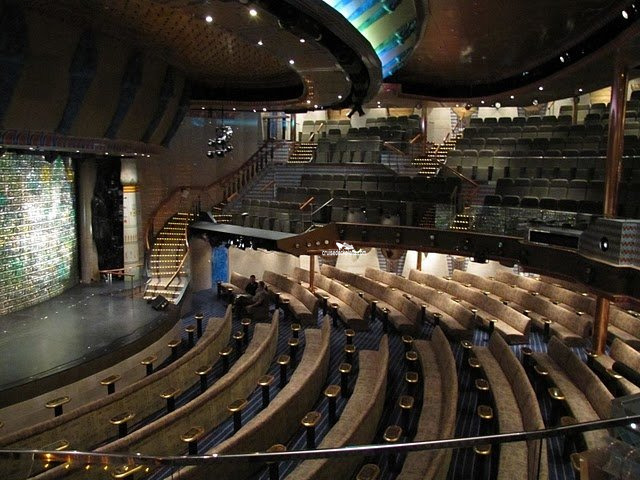 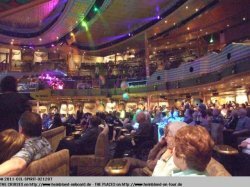 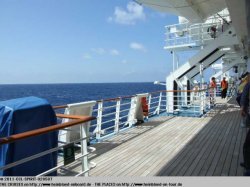 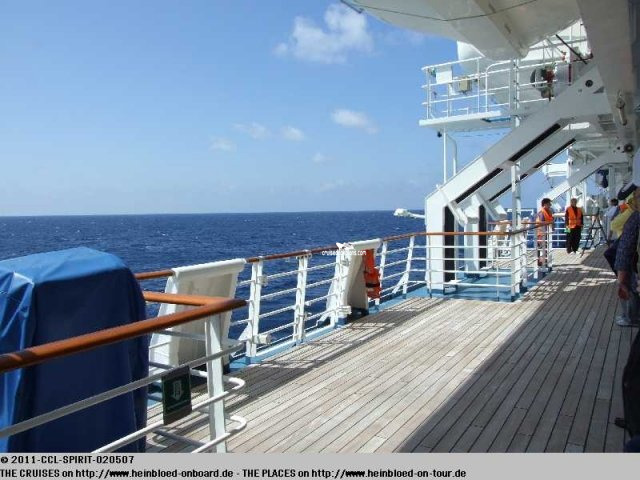 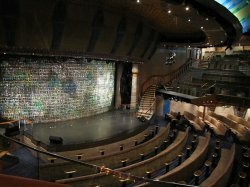 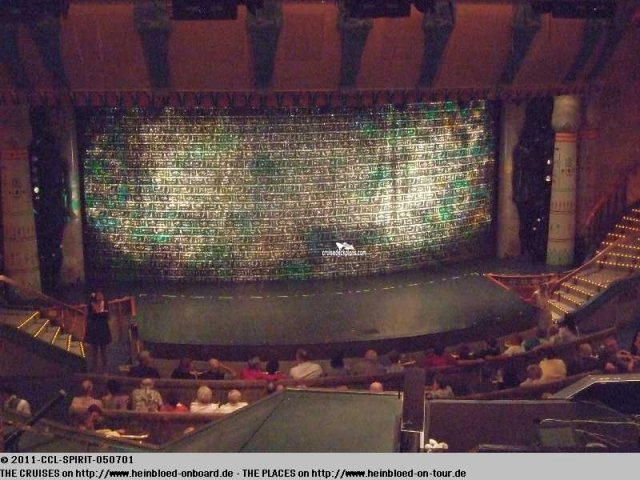 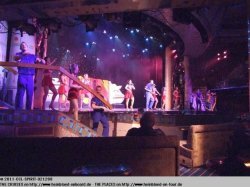 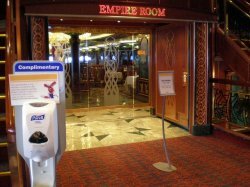 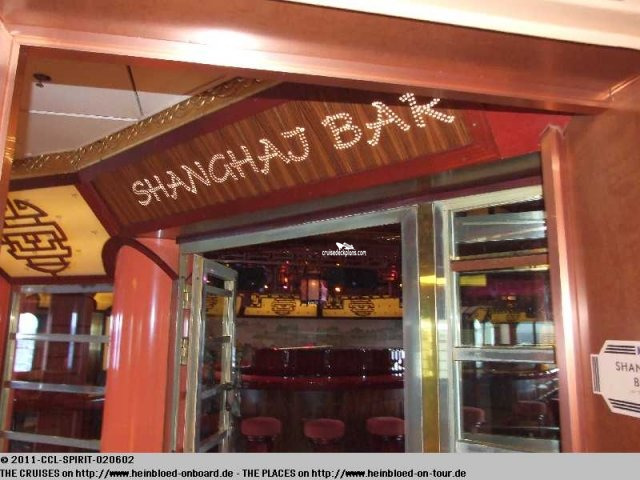 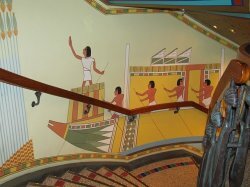 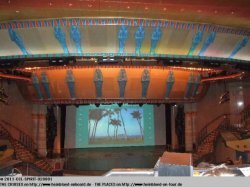 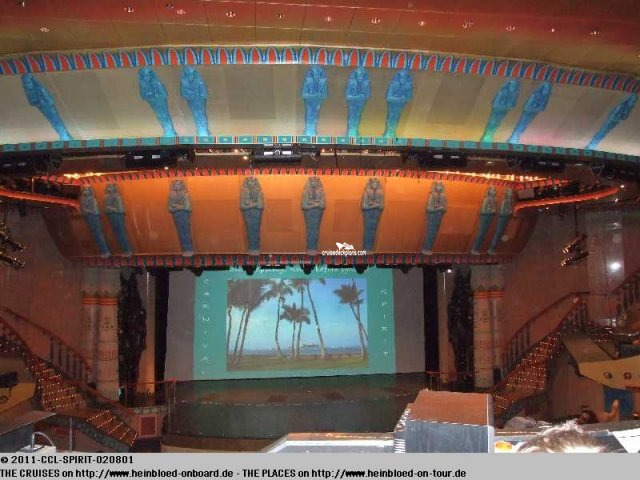 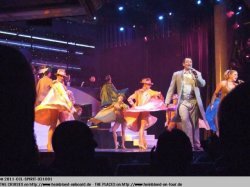 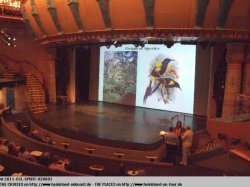 The ship's main stage productions take place here featuring dancers, musicians and performers; also used to host, amongst other things, audience participation game shows such as bingo. 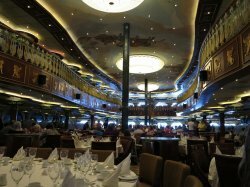 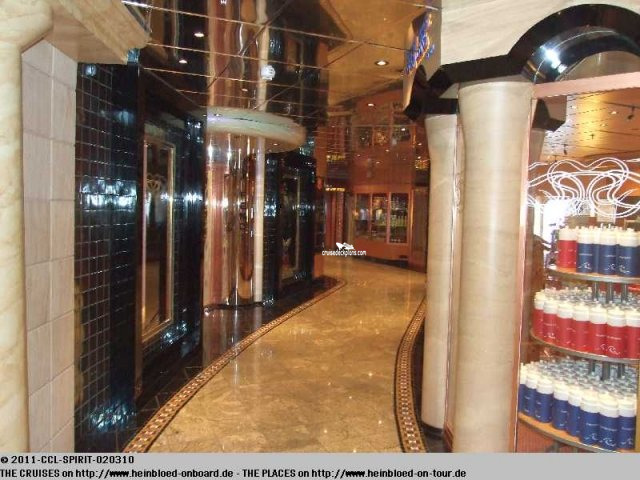 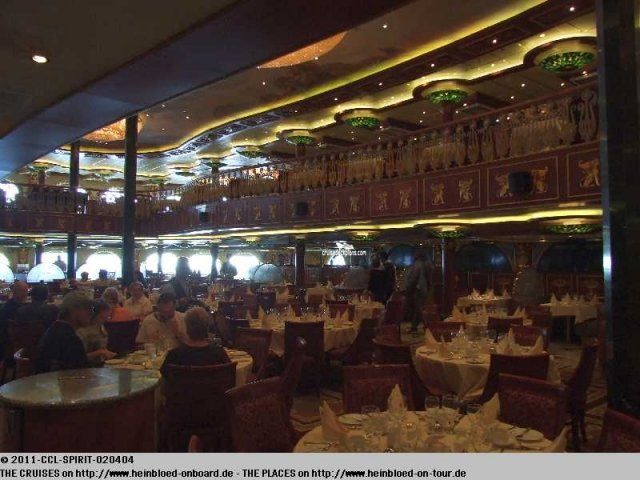 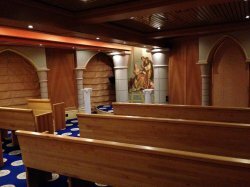 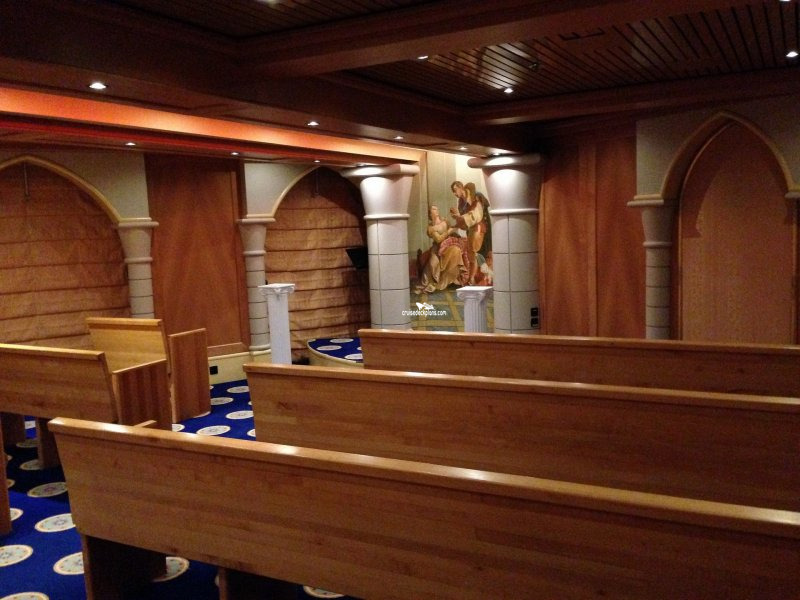 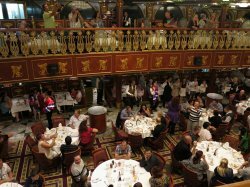 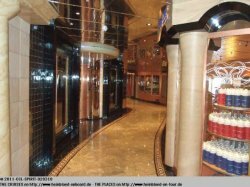 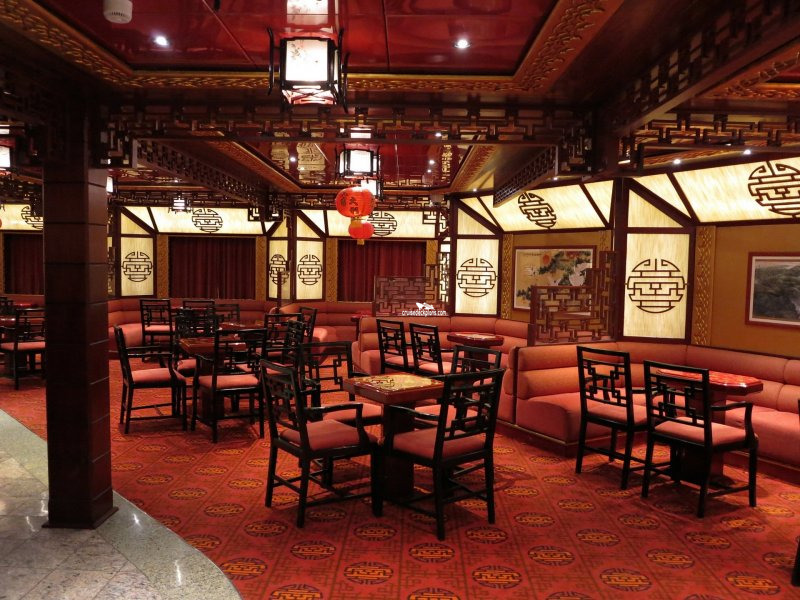 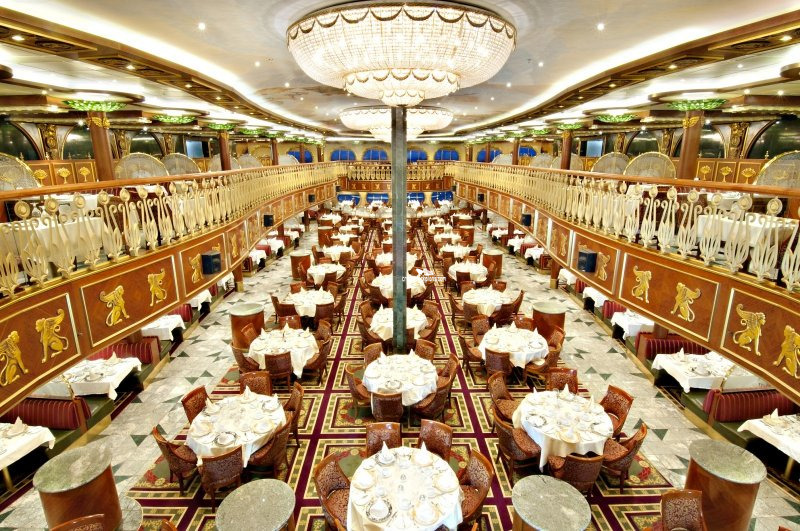 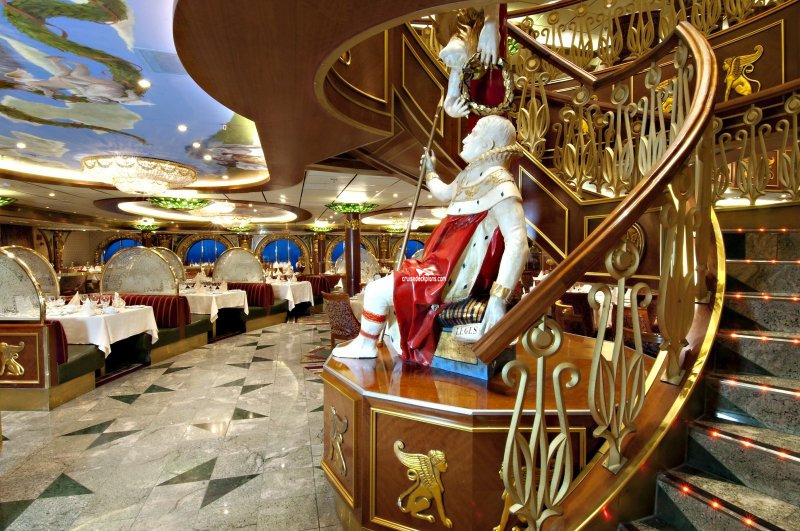 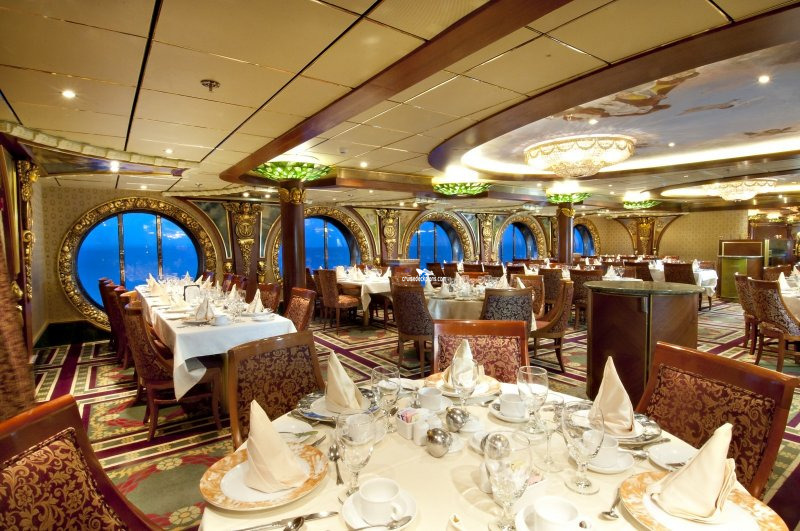 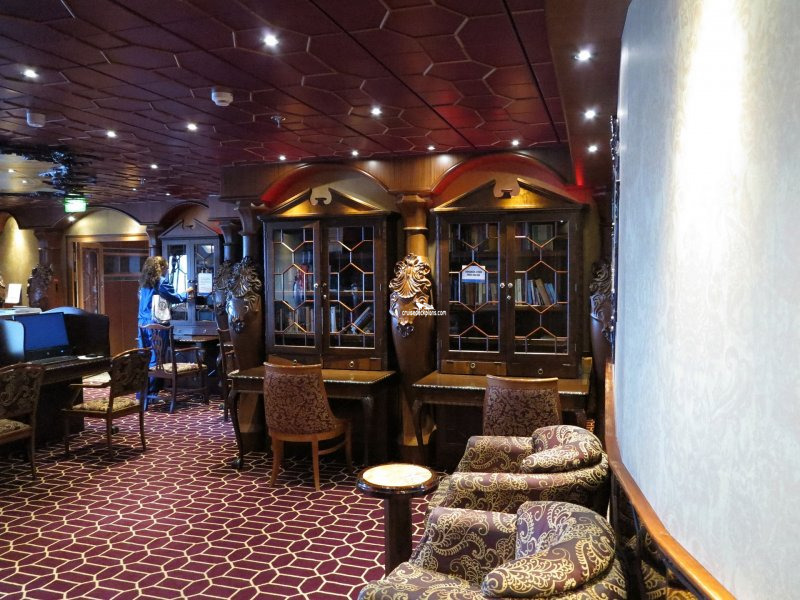 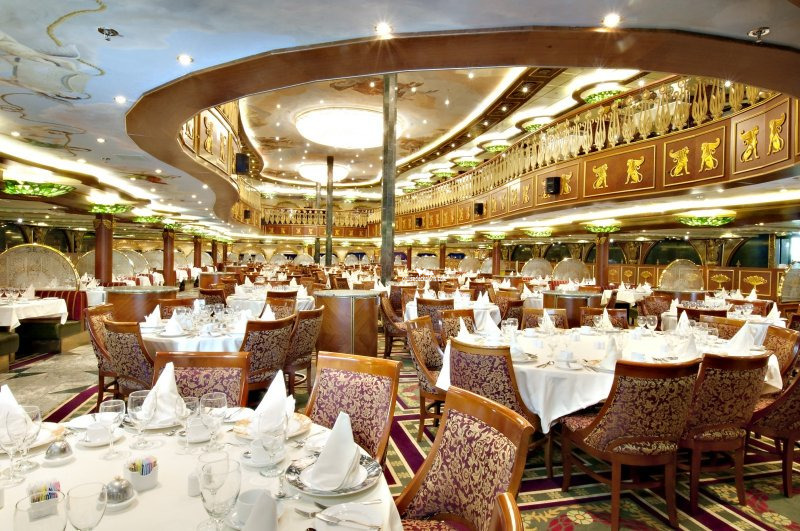 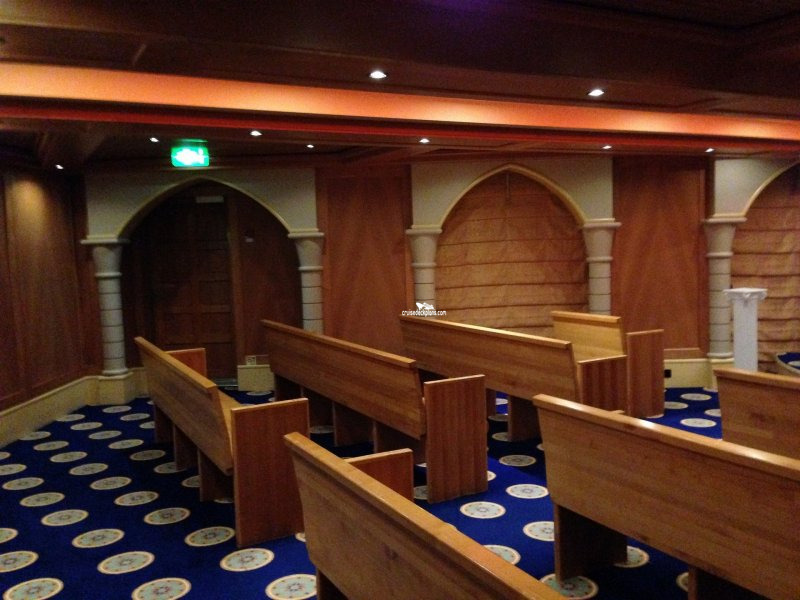 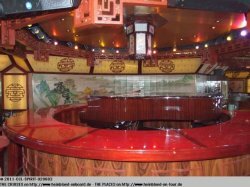 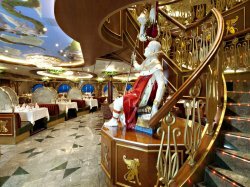 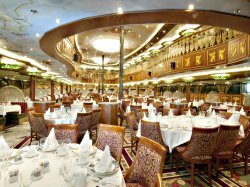 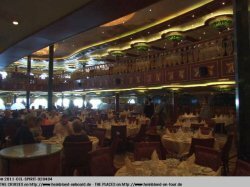 The main dining room on the ship with seating for 1,250. 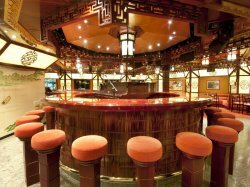 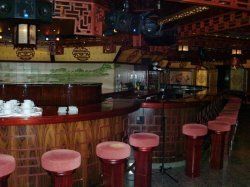 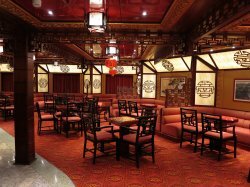 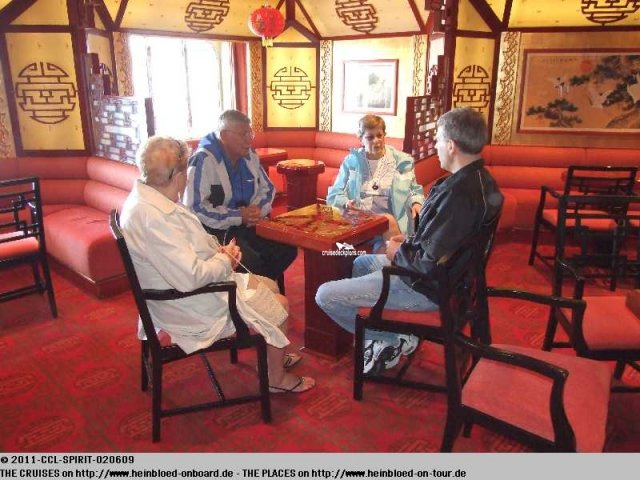 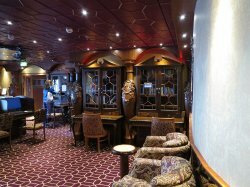 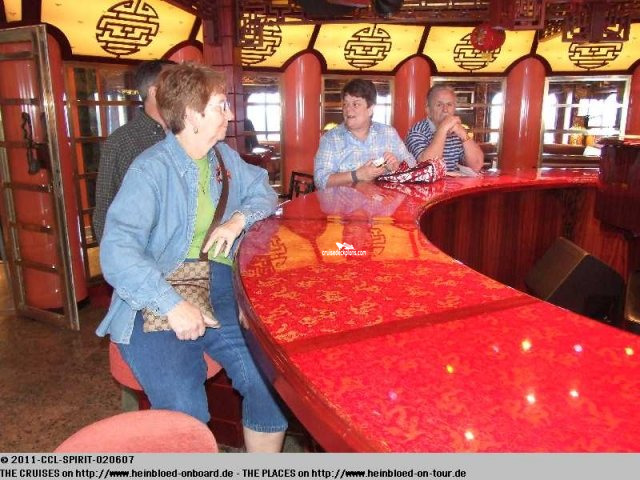 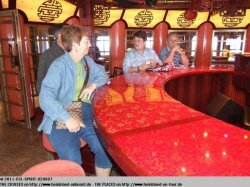 A small lounge with it own bar, accommodating 66 guests. Provides guests with gifts to purchase for special occasions such as flowers, wine, chocolates and cakes, and also hires out formal wear. 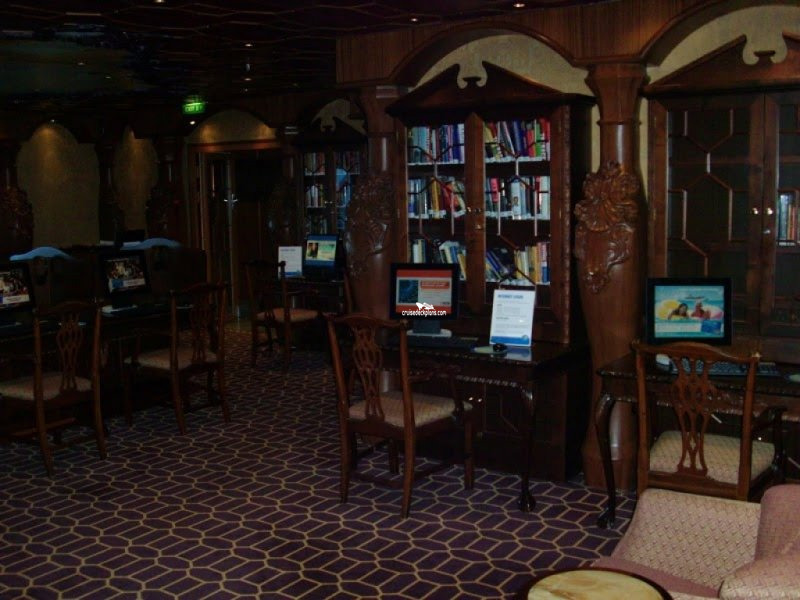 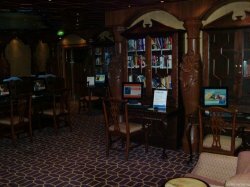 A dual purpose room accommodating both computer stations and a small selection of books and board games which can be played at the seating areas within the room. 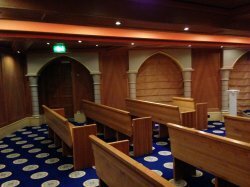 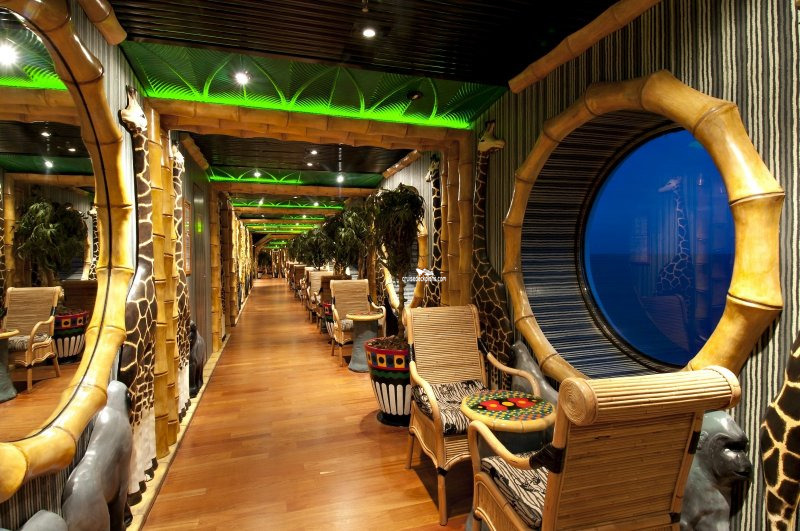 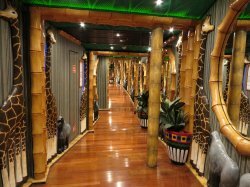 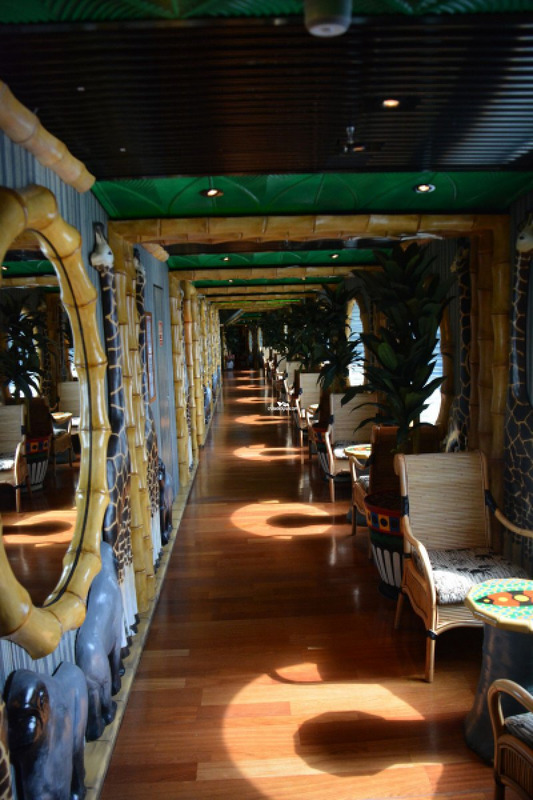 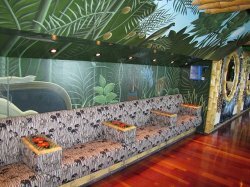 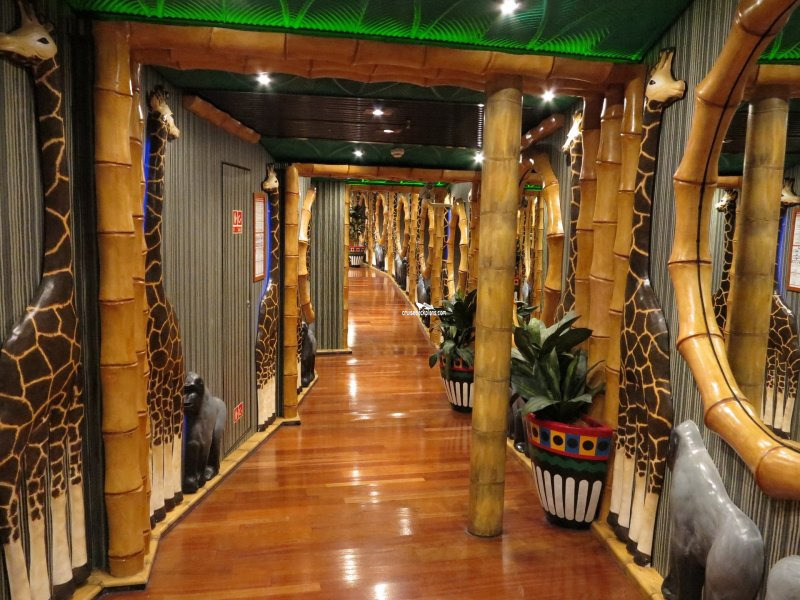 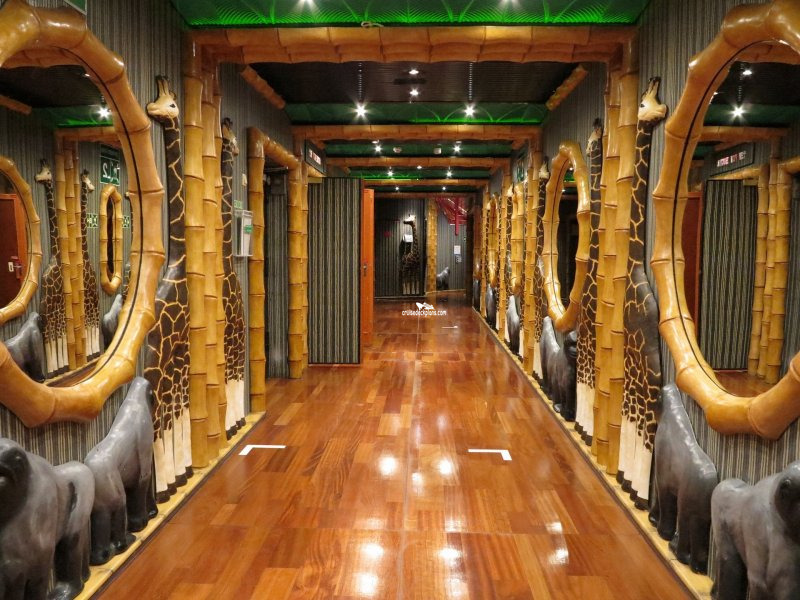 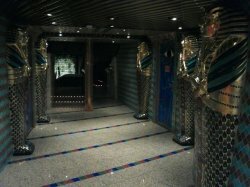 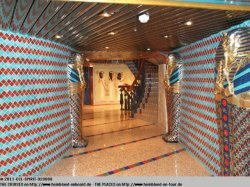 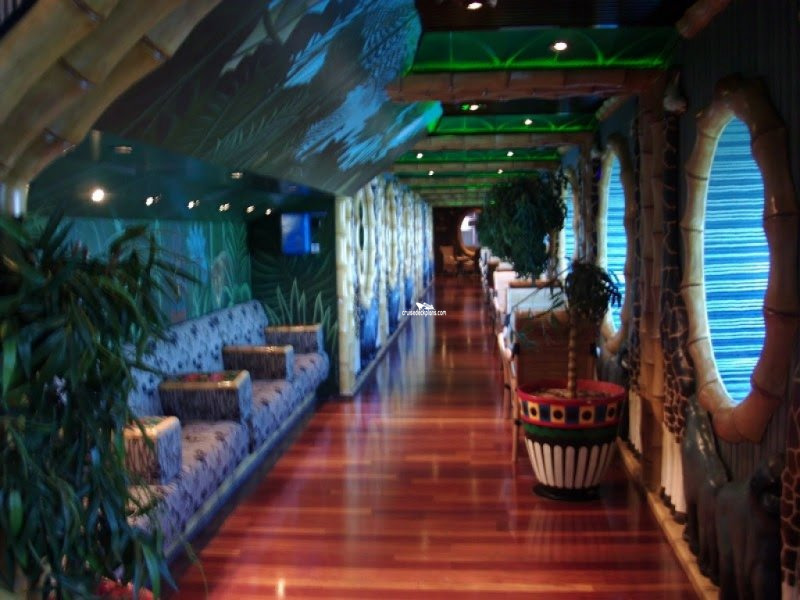 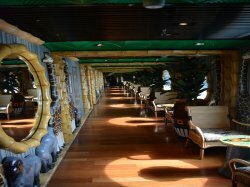 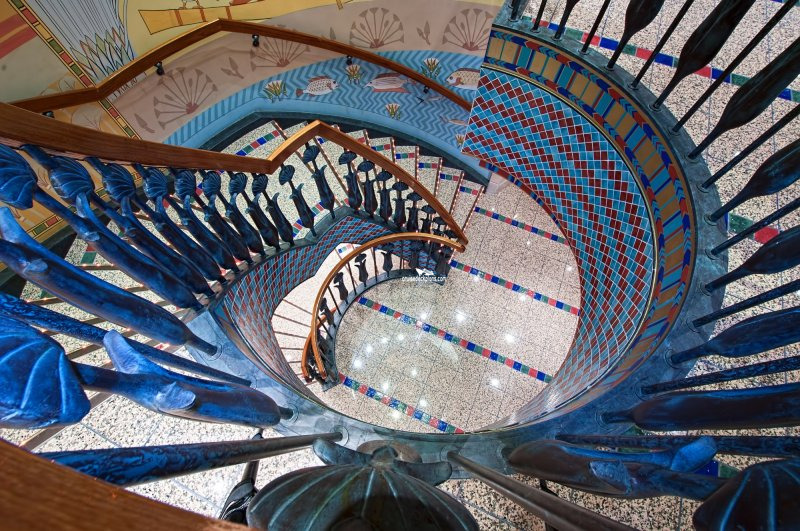 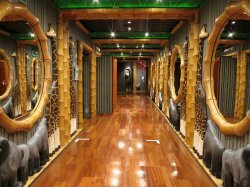 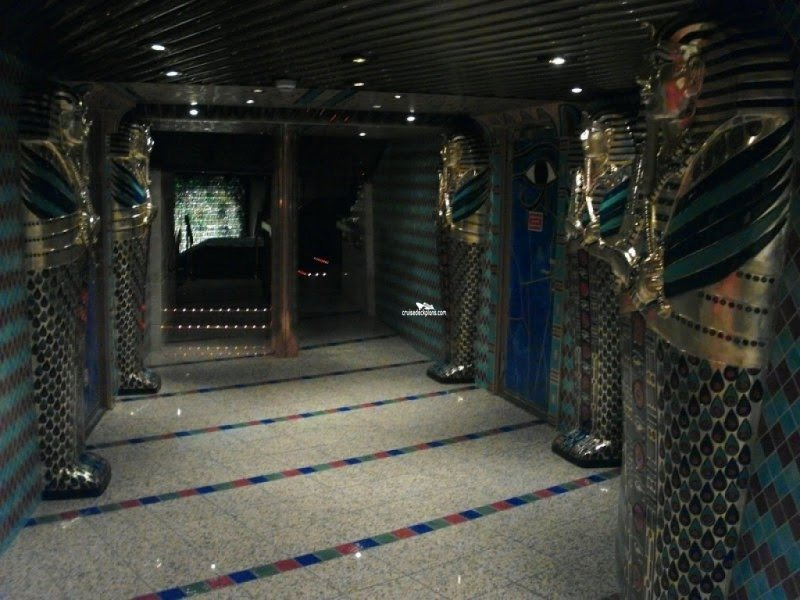 Interior promenade that is themed after a jungle. 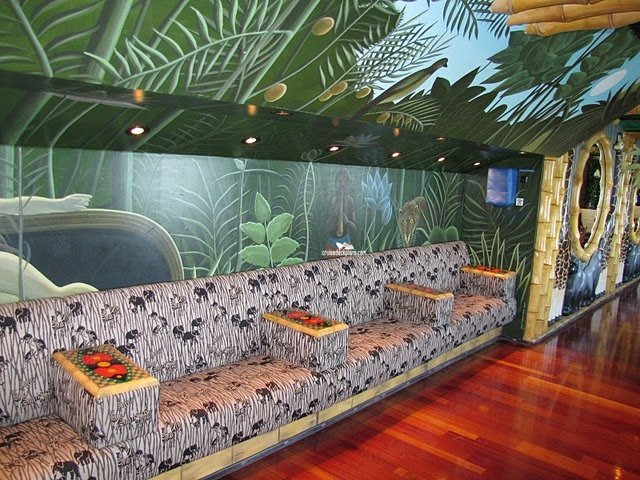 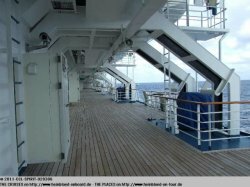 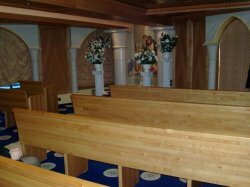 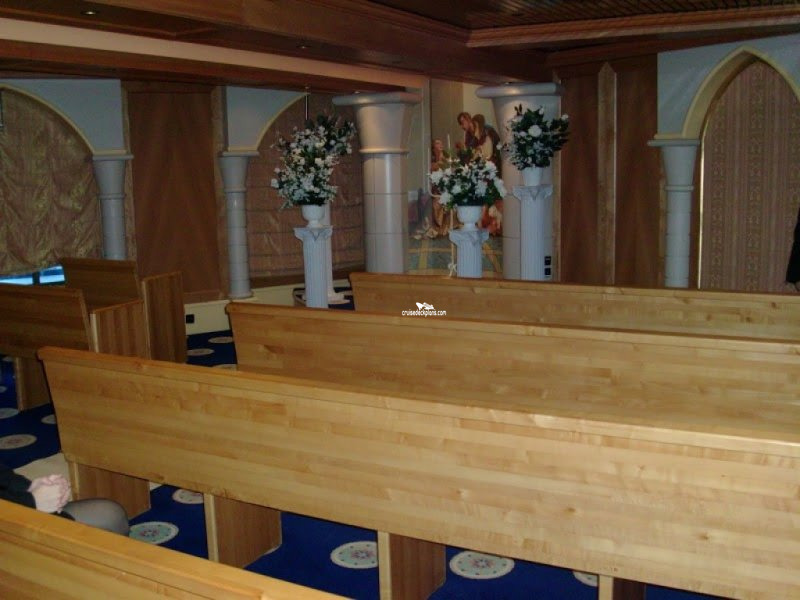 Provides seating areas.